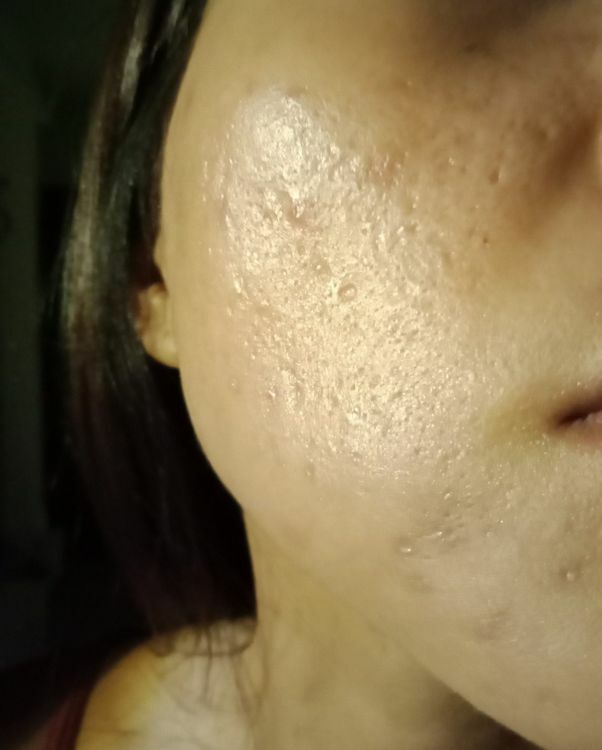 Any kind soul to guide me what kind of﻿ scar treatment i need? 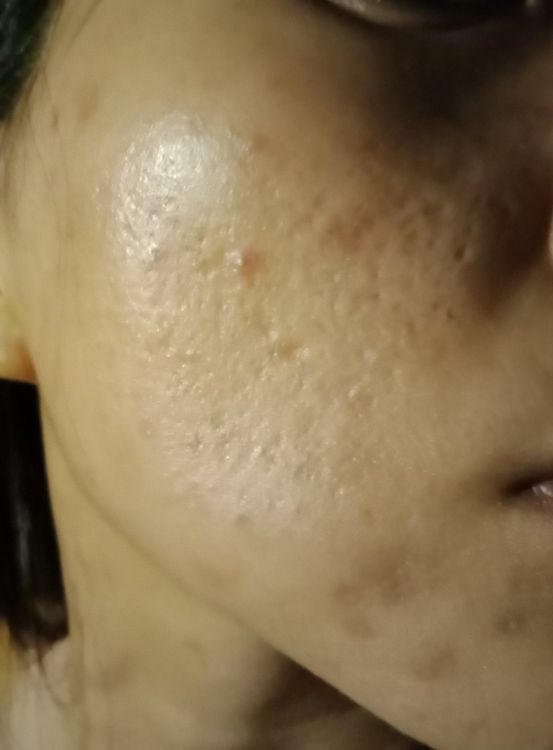 A 30 year asian (singapore) female, i have hormonal acne and tend to have dark pigmentation as well. History: I am ﻿unable to ﻿stomach accutane, had cramps and strange intestinal noises when tried so i stop it. Now im only ﻿supplementin﻿g and doing monthly facial extraction. I see mostly boxcars and icepick scars, and some mild rolling scars. I think TCA/Phenol cross would benefit you most, and is cost effective. Subcision will help break up any fibrotic strands underneath the scars as well, particularly any rolling. More expensive option is RF microneedling with Infini/Genius. @Fraeith Hi there you have a few things going on Rolling scars, sharp box cars, Ice picks, discoloration. 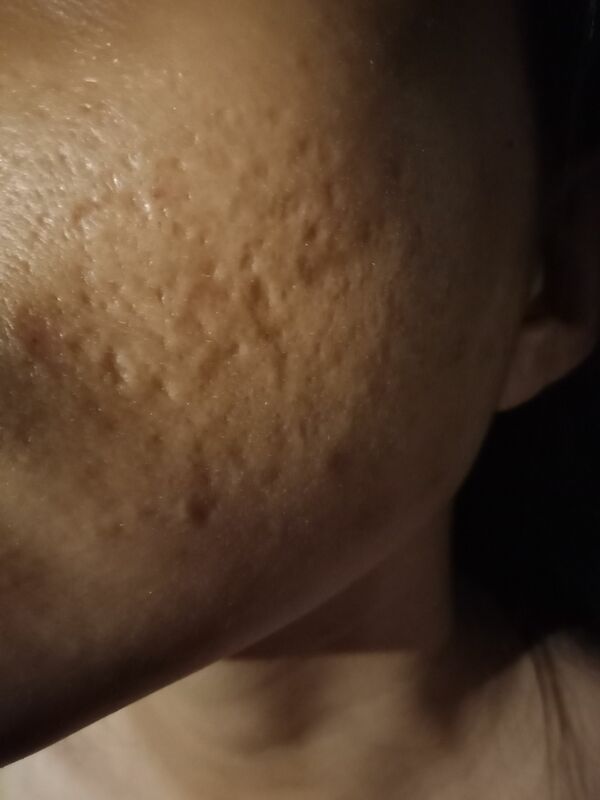 I can't tell if there is active acne but if so this needs to be under control before you start treatment or your skin can become worse. Several sessions of subcision 3-8 sessions. Most of the scars look superficial so filler may not be appropriate as it can cause bumps. Several sessions of tca cross for the smaller icepicks. CO2 laser to the boxcars (especially the border walls of the scars), with Fraxel 1927nm full density. Several TCA Peels, or A Deep Peel, or Fully Ablative Laser Resurfacing for the texture at the end. For the discoloration picosure is great for your skin type or vascular laser. Use these products nightly to prevent further hyperpigmentation and work on collagen building. You can at home dermastamp the scars in between Dr's treatments. Use nightly: Retin-a or tretinorin(prescription), or Differin (Target/Walmart), The Ordinary Granactive Retinoid (if you can't get the above). Cureology(USA) & Yoderm(USA) provides online prescriptions with customized skin care creams for your concerns, those in UK Dermatica provides the same thing. Apply a moisturizer when your face is dripping wet. Wait 5 minutes for it to dry, and then apply the tretinoin. This cuts down on irritation, you can also skip days of application if it's irritating and you need to build up %. This provides skin turnover - new collagen. To prevent (reds & browns from all Dr-treatments to ethnic skin or to work on current skin discoloration), try PCA hydroquione free gel for Hyperpigmentaion (Amazon) or Cureology/Dermatica includes this in their products if ordered. Using this prevents hyperpigmentation from treatments. Hydroquinone has side effects for some people, natural option as listed above is better or ingredients kojic acid/Konjac and skin lightener ingredients, like Niacinamide by The Ordinary is great for pores and discoloration as well. The Ordinary, Cerave, Eucerin, Dr Sam Bunting Flawless Cleanser, and Acne.org's products are all great options for moisturizers and cleaners without fragrance / dyes / allergens. Sunscreen is a must (for the sensitive use zinc only physical ones)! See the posters in the deep phenol peel, page 1 or 2 on the main scar treatments sub, they had similar issues (they did these treatments prior to doing the deep peel). @Fraeith If you do not have that much money, ... save throughout the year, subcision is cheap with Chinese cupping (you do this at home). You can do monthly while you save dermastamping alternating with light peels (see the chemical peel guide in the scar treatments sub). But you must get the acne under control as we don't want to spread bacteria and make it worse. Energy devices are most expensive, do them at the end when you save up if needed. Reach out to Dr. Justin Boey. He will fix it.